Sleeping Beauty seems to be having a moment right now with the popularity of Disney's Maleficent and Once Upon a Time. Here's our round-up of Sleeping Beauty reimaginings. What your favorite? Mine is Princess of Thorns. Paige loved A Long, Long Sleep. It has been more than sixty years since Rosalinda Fitzroy last entered her stasis tube. She awakens to find that everyone she knew and loved had died and she had missed many important events in history. She is doing her best to navigate a new time while trying to understand her place in the business her father once owned. Anna Sheehan created a fascinating world in A Long, Long Sleep. I really enjoyed the technologies of the world as well as the characters. Her alien friend was my favorite. Sheenan also dealt with weighty topics with poise and delicacy. 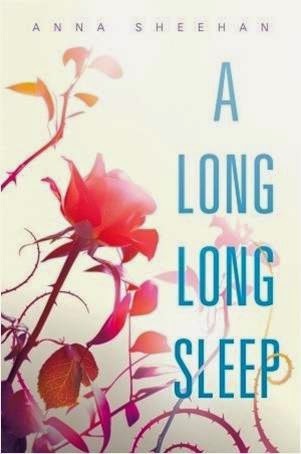 A Long, Long Sleep was a delightful read. Aurora's just been awakened after one hundred years, and everything is different. Her parents are dead. The city is much larger and full of unrest and rebellion. And everyone seems to think Aurora is a tool to be used. Rhiannon Thomas's debut novel had a lot of potential. An exploration of the weirdness of fated love and the reality of missing 100 years could have been fabulous, but the story falls flat because nothing really happens. I understand that Aurora is disoriented and overwhelmed, and that part of the story is very realistic. However, that said, Aurora is an incredibly passive character. Things happen to her and she reacts. At the very end of the book she turns the tide a bit and does the unexpected but it's too little too late. A Wicked Thing is out February 24, 2014. Review copy from Edelweiss. 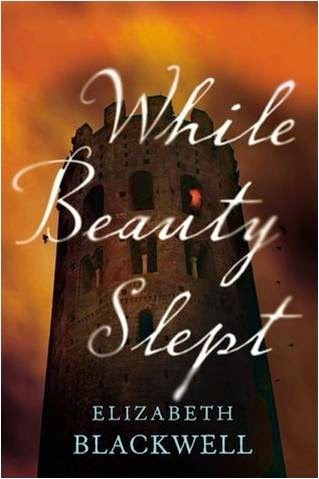 While Beauty Slept is a Sleeping Beauty story told from the perspective of Elise Dalriss, one of the royal family's most trusted servants, as she looks back on her years of service. Elizabeth Blackwell's version of Sleeping Beauty is more realistic than most versions of this fairy tale, and it was interesting to imagine what Sleeping Beauty would be without the magic and the fairies. Blackwell populates her novel with a terrific cast of female characters who, despite the fact that they are forced to make difficult decisions due to the limitations placed on women in a medieval/ Renaissance setting, are powerful and capable. What if Sleeping Beauty didn't live happily ever after? What if she died leaving two young children and a usurper on the throne? 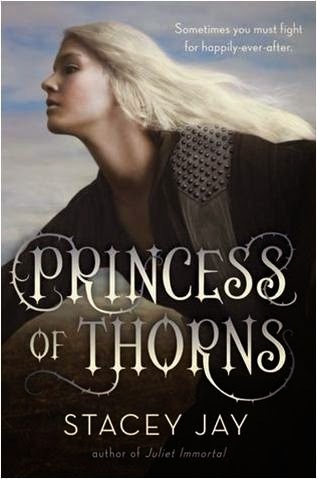 Stacey Jay's Princess of Thorns uses Charles Perrault's tale as its jumping off point and is the story of what comes after Sleeping Beauty's unhappy end. It's the tale of Sleeping Beauty's daughter, a fierce and resolute warrior, who will do what she must to protect her younger brother and regain her kingdom. I really enjoyed this novel. Aurora is feisty and headstrong. Niklaas starts out seeming overly arrogant, but it doesn't take long to realize that it's all bluster. I quite liked them together. I love when magic has consequences, and that is certainly the case with this tale. Aurora's fairy blessing was one of the most interesting parts of this tale, for me. Featured in a Connections post here. Talia has been told all her life to never touch a spindle or the whole kingdom will fall asleep. She doesn't even know what a spindle looks like, but she has been warned. Jack is stuck in Europe on a tour his parents insisted he take. He goes off the beaten path and finds a sleeping kingdom and kisses the sleeping princess. Together, Jack and Talia take on the modern world and try to stay out of the clutches of the evil witch, Malvolia. A Kiss in Time is a fairy tale that reads like a contemporary romance and I thought that was really cool. I loved the way Talia and Jack help each other appreciate their lives and stand up for the things they want. I will be seeking out other books by Alex Flinn. 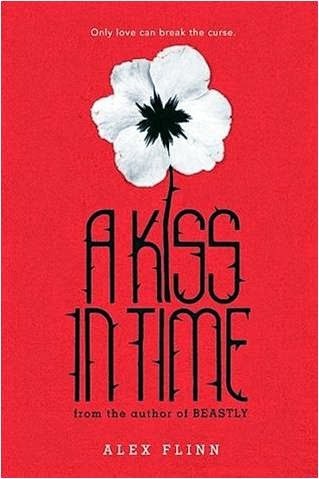 A Long, Long Sleep and A Kiss in Time reviewed by Paige. 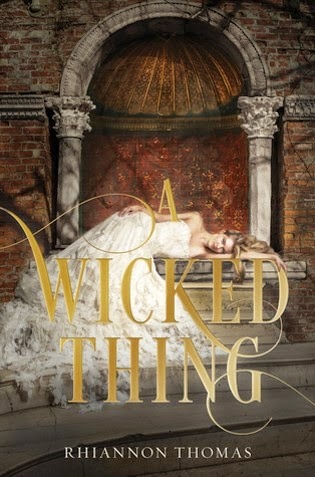 A Wicked Thing, While Beauty Slept, and Princess of Thorns reviewed by JoLee.